If you're a good space nerd, you know now that the only things orbiting at 4.791 miles per second in space and capable of having a tomato involved could be the International Space Station or an alien spacecraft full of conscious, warp-drive skilled alien tomatoes getting set to attack our planet for centuries of tomato victims by humans. 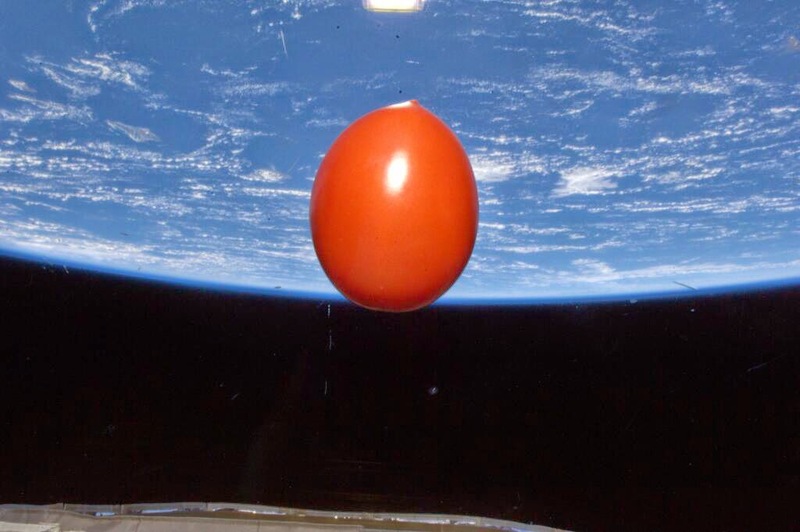 Astronaut Koichi Wakata‏ has the answer of your question: "One fresh tomato for dinner makes us happy in space. It came up with us on Soyuz TMA-11M two weeks ago."